Look closely at a map of St. Lucia and you’ll see mountains. Sure, there are also the golden sand beaches, crowded resorts, and party boats at sunset, but on the windward side—the verdant, green side near Soufriere—there are the Pitons, and with these mountains are hidden coves, and jungle paths past coconut palms. With New England spring in muddy snowmelt, it makes sense to jet away to the off-season rates at Jade Mountain Resort and secluded beaches of Anse Chastanet in the West Indies. Especially if you can go jungle biking through groves of banana trees. Bundled in sweaters and wool socks from the chill of Boston, it doesn’t take much convincing to change into shorts and tee shirts at the airport before our hour drive along the coast and valleys from Vieux Fort through Laborie. With horses running down the road in front of us and goats napping under palms, my husband and I realize we’re not in the land of grey snow banks anymore. After a bouncy ride over a rutted dirt road past Gros Piton and jagged Petit Piton mountain ranges, we find paradise. Our jaws literally hang open. “You can walk inside,” the butler (yes, there are butlers in paradise) suggests. “No walls,” I say, looking out over Soufriere Bay and the distant Piton ridges. The Caribbean, surrounding us on all three sides, is bright turquoise and calm, dotted with sailboats. “It doesn’t seem real,” my New Englander husband says, shaking his head. “It is all real,” the butler smiles, as he shows us the “sanctuary” with its infinity pool, lounging perches, outdoor shower, and bed covered in white netting and rose petals. “Will you be coming to the Celestial Terrace for sunset cocktails?” he asks. We nod our thawing heads yes, and when the butler leaves our sanctuary, we jump straight into the infinity pool, shorts and all, and float around in silly circles. Jade Mountain encompasses 600 acres of tropical jungle, with flower draped alcoves, beachside bars built around gum trees, curved walking paths and crushed stone stairways to private beaches along Anse Chastanet, a designated marine reserve of protected reefs. Of course, there are honeymooners here, and Brian and I spot them everywhere, as we walk from our perfect perch high in the hills to the palm covered beaches. We find a thatched hut on the beach and order a Voodoo Queen and Piton beer. Winter seems very far away. The next morning, we watch black finch and oriole flit in and out of the draping ivy, orchid, and anthurium surrounding our terrace. Trade winds blow warm and sailboats below glide like miniature swans. After an in-room breakfast of quinoa porridge, fresh banana bread, papaya, and fresh passionfruit juice, we decide it’s time to ramble in the jungle on bicycles. St. Lucia is 238 square miles around and its highest point is Mount Gimie, at over 3,100 feet. North of St. Vincent and west from Barbados, it’s in a rain shadow that keeps the island lush and fertile. As we take a water taxi over to the biking trails, misty rain falls in a short burst, or as the taxi driver tells us, “In liquid sunshine.” He points out a rainbow just forming over the volcanic cliffs of secluded Anse Mamin beach. “Good morning, I’m Tyson,” our jungle biking guide says, as he greets us on the beach. “But you can call me Bike Tyson.” We head, with him, to the outdoor bike shop, which is surrounded by a forest of palm, bamboo, and coconut. We are soon outfitted in helmets “in case the coconuts fall” and ride top-of-the-line Cannondale suspension mountain bikes. It’s a roller coaster ride around the banana trees, along Anse Mamin River. The lush, jungle vegetation is cut back just enough for adventure. We careen past creeping fig, balsa, and calabash, and bounce up inclines, following Bike Tyson, who never seems to break a sweat. Along the way, we stop to see wild orchid, mango, and guava, and we search for the Zandoli Te, a ground lizard that displays brilliant blue in its tail. Hummingbird, warbler, and finch flit above in the canopy of green. Even though we don’t find the elusive St. Lucia Parrot, or jacquot, we do spy the Antillean pewee, a fluffy bird who seems to follow us. Soon, we find ourselves in the remains of an old sugar mill. We taste a cocoa bean, with a tart first layer, that finishes with a purple bean. Cocoa history on Saint Lucia dates to the 1700’s, with many plantations harvesting and producing cocoa. Currently, Jade Mountain, with over 2000 cocoa trees, produces handcrafted organic chocolate on its organic farm, Emerald’s. Bike Tyson tells us that we’re ready for our own jungle biking, so Brian and I take off down Aqua Dulce trail to try for Tinker’s Trail, a single-track hill, designed by Tinker Juarez, of the Volvo-Cannondale racing team. We don’t make it riding, but decide to hike up to the top. We are rewarded by panoramic views of the Caribbean. We spend the rest of the afternoon lazing under a thatched umbrella, drinking frothy concoctions, and floating in the warm ocean. The sea air is scented with eucalyptus and jacaranda. Back home, there’s a spring blizzard happening, but here, our thoughts are on what fish to eat for dinner, and what a sunset will look like on the Celestial Terrace. There are plans for sailing and snorkeling the next day, and a yoga class on the beach. More importantly, we don’t think of snow shovels or wind chills. That night, in the open-air bedroom, after a dinner of Lionfish and seared scallop, we fall asleep to the sounds of trade breezes and tree frogs. Jade Mountain. Soufriere, St. Lucia, West Indies. www.jademountainstlucia.com. Ask for the Amazing Adventure Package which includes accommodations, butler service, all meals, and a plethora of activities: scuba, jungle biking, SUPS, kayaking, sailing, tours. Six inches of snowfall in Jackson on the early winter morning my daughter, Haley, and I leave for Bermuda. Hikers are heading toward the ravines of Tuckerman; the ski areas will soon be open. But outside, the trees are bare, the ground is frozen, the sky is gray. “Are you sure it will be warm in Bermuda?” Haley asks in the airplane. Early winter in New England is a cantankerous thing. One day, frozen rain; the next, wind through skeletal branches. No leaves on the trees, no snow turning brown ground to brilliant winter white. It’s that tricky time after Halloween, before Thanksgiving, with a tickle of what use to be fall and just a distant summer memory of barbeque and swimming holes. It was time to get away, before the frozen landscape of snow and ice, nor’easter and wind howl. Mark Twain was so inspired by nasty early winter weather that he moved to Bermuda. He counted “one hundred and thirty-six different kinds of weather inside of four-and-twenty hours” when he lived in New England. In 1867, he left Boston by steamship heading to Hamilton. The turquoise blue of Bermuda’s ocean and reefs surrounded by pink sand beaches almost hurts our eyes. We land in brilliant sunlight. The early snow and dark clouds of New England are gone as we travel by taxi past pastel bungalows, outdoor cafes with steel drum bands, palm trees and jewel-toned oleander bushes in shades of pink, orange, purple and yellow. Twain also found that New England had “weather to spare, weather to hire out, weather to sell, to deposit, weather to invest,” and with his sarcastic wit, Twain said that “every year they kill a lot of poets for writing” about it. Bermuda is 21 miles long and made up of volcanic rock topped by coral formations. Surrounded by shallow reefs holding a pirate’s assortment of underwater caves, there are more than 500 shipwrecks documented off the coast, dating back as far as the 1500s. 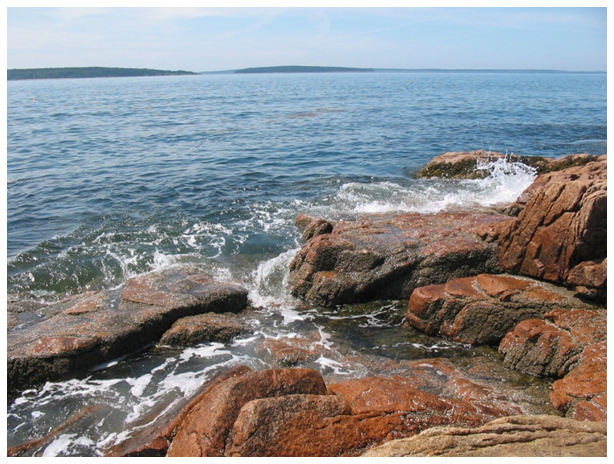 Tucker’s Point is an alabaster jewel situated between Castle Harbor and Harrington Sound. In layers of white deck and sapphire ocean, it’s beauty in overdrive. We take the complimentary ferry from the Princess Hotel to Fairmont’s sister property in Southhampton. The private guest ferry takes us past Marshall, Nelly, Long and Ports islands, and we spot limestone caves carved into private white sand beaches. Children in rowboats wave and the sea rose is in full bloom. As we come toward Southampton Parish, Gibbs’ Lighthouse – made of cast iron and built in 1854 – makes us almost wish for a hiking adventure. But then we see the beach. “It’s out of a movie or something,” Haley says as we spy East Whale Bay, which is situated privately from the more famous Horseshoe Bay. Rocks incline like floating whale backs and the beach is curved and framed by palm and flower. Secluded beach chairs and umbrellas beckon. Everyone from the ferry is smiling as they walk into the blue of the sea, ready for adventure. “Can I snorkel?” Haley asks when she spies the dive shop located directly on the beach. There’s also an outdoor bar and bistro for light snacks and cocktails. We have five hours to relax and swim and snorkel on this beach before the ferry takes us back to Hamilton for complimentary wine tastings, evening appetizers and the twinkling lights of Hamilton. Our room already has the window open to let in the Bermudian breezes and the beds face east for sunrise in the morning. No mud boots or bug spray needed. There isn’t a chance of a blizzard or ice storm. Haley forgets about the snowstorm hitting Mount Washington, which resorts will open first and who will have the most snowpack. For now, she snorkels in the blue of the lagoon. Three hours later, we head back to the ferry, just in time for sunset. 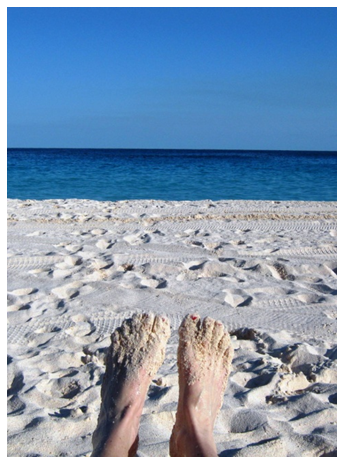 Head to Bermuda in early winter. If this is your philosophy, then a chocolate tour in Boston might fit the bill. The Seaport Hotel is centrally located on the waterfront in the bustling Seaport District and offers five unique tasting tours through Boston Chocolate Tours: Faneuil Hall, Beacon Hill, Back Bay, the South End and Harvard Square. I pick Beacon Hill as my chocolate stomping ground. There’s three feet of snow on the ground and the cobblestones are icy, but that doesn’t deter me from my mission of artisanal tastings. I end my trip with Cloud Nine, a joyful moment of marshmallow over a layer of dark chocolate. I take a Chocolate Martini Truffle for the road. Packaged in keepsake boxes, you can take the pleasure with you. Back upstairs in my harborview room I find a chocolate welcome treat from the hotel and I think for dinner I’ll have cauliflower soup and roasted Scottish salmon. Chocolate on the side. 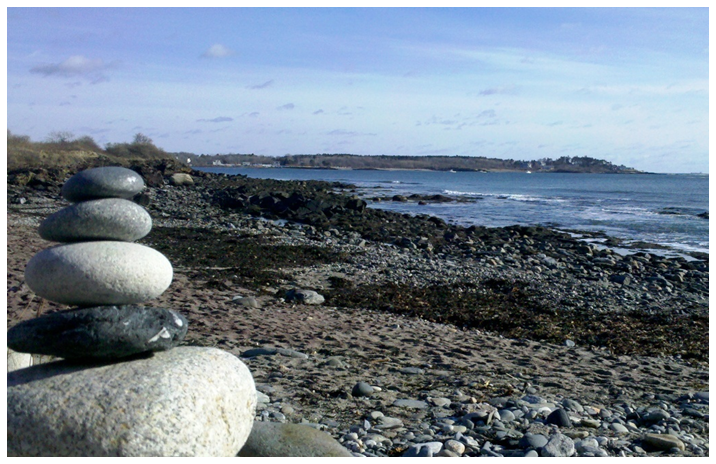 My next day takes me up along the southern Maine coast to the Inn by the Sea in Cape Elizabeth, Maine. Their restaurant showcases dinner as art. During February, the inn offers Chocolate Lovers Getaways for lovers of chocolate and lovers of the wild ocean in winter. The Inn by the Sea also offers Swedish massages with chocolate oriented oils – just the thing after my windswept jog with my dog Buster. My face is red, my hands are frozen and I can’t feel my feet, but soon, in the spa, with the sounds of ocean wavers coming from the stereo and my stomach fumbling from the scented oils, I’m on a Mayan beach with palm trees swaying. “It has been shown as proof positive that carefully prepares chocolate is a healthful a food as it is pleasant; that it is nourishing and easily digested… that it is, above all, helpful to people who must do a great deal of mental work,” said Jean Anthelme Brillal-Savarina, a French lawyer and politician born in 1755 who gathered fame as an epicure. After holing up in a loft room with a balcony overlooking the Atlantic Ocean, I finish my “mental work” and head to Sea Glass, Inn by the Sea’s intimate restaurant. Feeling more like a living room with a view, the floor-to-ceiling windows highlight the sea grasses and gray winter sky. A roaring fire glows, and candles are lit. With the scent of chocolate lingering and a snoring dog at my feet, I fall asleep. 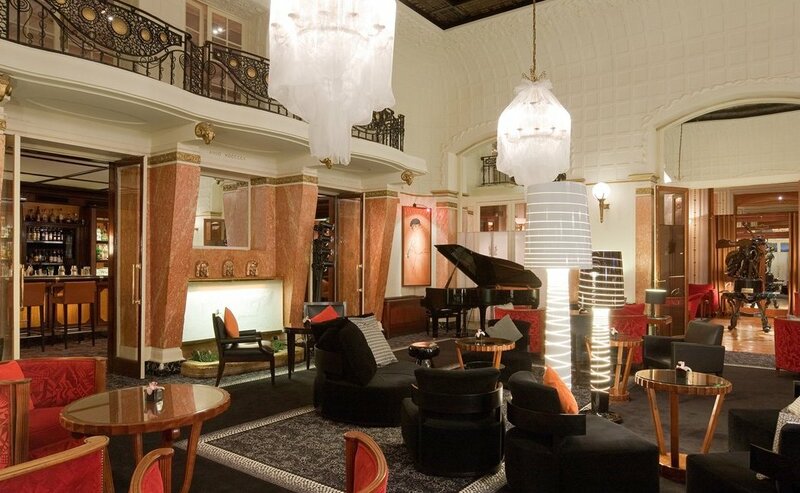 The room had the vibe of a Woody Allen film, with its reclining bronze statues, red sofas and jazz. A piano player on a Concert Grand worked the crowd while the bartender created cocktails by the sound of your name and the color of your eyes. I didn’t know French, and I didn’t need to at the Hotel Lutetia in Paris because the chairs were soft and music flooded the room. We are connected to all things electric: cell phones, iPhones, iPods, Facebook. But there’s also a need to disconnect. To unplug ourselves from electrical outlets everywhere and listen to each other between the musical stories of upright bass and soulful piano. Sit at a corner table listening to a daughter telling her future before the future happens. Piano bars leave impressions. They strike a tone. Or start a party. But on that last night in Paris, it colors the moment. The pianist nods to me as if knowing it’s all about leaving. He signals the dimming feel in the City of Light as he slowly begins playing “My Funny Valentine.” My daughter leans into the cushions of the couch and twirls her toe to the melancholy chords. I finish my last sip of champagne and picture myself a chanteuse on the stage. Piano bars are fading. The culture is quick in the iWorld, but you don’t have to go to Paris to disconnect from technology and reconnect to actual people. There are jazzy places in and around the coves and cities of New England if you’re willing to listen. The Boston Harbor Hotel sits directly on, yes, the Boston Harbor, with views to Spectacle, Long and Castle islands. With outdoor terraces, public walking/biking paths, fresh seafood and a coastal breeze blowing, there’s free entertainment on the decks all summer. I sit at a table as a four-piece band sets up on “the barge” – a platform and dance floor anchored to the main terrace. In the 1900s, pianos were everywhere: in living rooms, in lobby bars, in tiny apartments and in church halls. 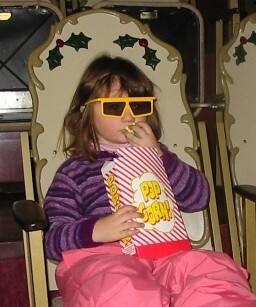 It was the home entertainment and a Saturday night out. Occasionally accompanied by bass and drums, with frequent horn sections, the legendary greats of jazz were Fats Waller, Duke Ellington and Count Basie. Never playing the music exactly the same way twice, their jazz gave a mood, brought interaction between performer and listener. Here, on the harbor, a drum starts low and is followed by the deep chords of piano as the candlelight flickers on outside tables. Sailboats glide past to the piers, some docking for the night. The Boston Harbor Hotel is an urban oasis of sea-swept song and dancing under moonlight. I sip my champagne and imagine myself as that jazz singer on stage. The night is long and the breeze is summer cool. Up north, in Ogunquit, Maine, you will find another gem of a place to gather around a piano and sing show tunes. After seeing “South Pacific” at the Ogunquit Theater, my 80-year-old, Brooklyn-born mother and I were not done with Broadway, so we decided to hit the Shore Road strip of Ogunquit, Maine. With downloaded show-tune lyrics from “Mame,” “Fame,” “Cats” and “Chicago,” we were ready to go. Once I found a parking space. Men in tank tops, mothers pushing strollers, teens on skateboards, miniature dachshunds with rhinestone collars, babies in backpacks – everyone is on parade with a look of vacation on their smiling faces. We find the Back Porch. It sits square center of all this commotion and there are tables outside and bright yellow awnings. But we go inside. To where the music plays. Upstairs, the piano bar is one part living room, one part sunburn, and all parts fun. The crowd, a chipper geriatric mixed with hipster socializing, is ready to sing and the chemistry is like being backstage during a Broadway rehearsal. One group has sheet music, while others seem to have full books of Broadway tunes. The pianist seems to know everyone. There are waves and air kisses as a sparkle-haired grandmother serenades a table of tanned twenty-somethings with “When You’re Good to Mama.” Mom and I order martinis and put our names on the song list. I pick “Wash That Man Right Out of My Hair” while Mom takes her time finding the perfect show tune. It seems like a good day to belt out tunes in the summer sun. Perhaps we’ll get discovered. The Christmas Farm Inn in Jackson is everything a winter lodge needs to be. There are fireplaces, nooks and crannies, and fine dining in a comfortable space full of families. Plenty to downhill and cross country ski trails outside. A warm pool and spa inside. If you can’t fly away at moment’s notice to the vineyards of Provence, Burgundy or Champagne, or if it seems a bit too far to dine at an inn by the Palavian hills of Alps or the farmlands of Grosskartbacher, Germany, there are places in New England that require no passport and no cramped seat in coach for nine hours. Instead, there’s a room at an inn, with views of ocean, mountain, or stream, and a five course meal paired with expertly chosen wines. 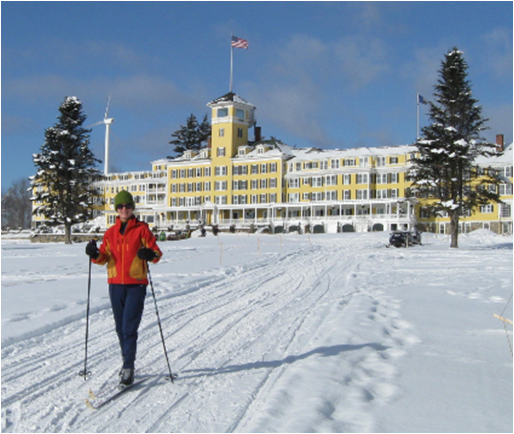 The Omni Mount Washington Resort in Bretton Woods. A favorite retreat of “presidents, poets and celebrities,” I figure it would make a superb wine dinner retreat. Built in the tradition of Renaissance architecture by more than 250 master craftspeople, the resort basically takes your breath away. With Mount Washington looming over the resort like a iced giant, there’s a flavor of decadent escape that gives you pause and makes you want to stare in glazed-eye wonder. Because of a wedding, the main dining room is off limits to regular travelers wanting a warm, French-inspired meal, with wines to complement. My friend, Denise, meets me at the Rosebrook Bar, behind the grand staircase in the Great Hall. We have the whole white-glazed valley and icy mountain spread in front of us. “There’s a wine-type dinner tonight at the Bretton Arms,” the bartender tells us. “Where’s that?” Denise asks. The bartender waves over the bellman who tells us he can drive us anytime we’d like to go. “It’s just down the hill, near the old livery stable,” the bellman says. The Bretton Arms sits deeply within a pine forest, and as we walk to the front porch, there’s a sound of bells ringing. There are sitting nooks and window seats that invite relaxation. As we walk down a candlelit hallway, we come to an intimate dining room with hidden alcoves for two. Denise and I explore the Burgundy region of France. We completely trust our wine educator as he suggests duck rillettes in red cabbage jam paired with Louis Latour Beaune, followed by beet and spinach salads with a Cremant from Simonnet-Febre. “These wines are produced in small quantities, which, in turn, has led to high demand,” he tells us. Burgundy’s climate is oceanic with vineyards spreading south “for miles and miles and miles.” I almost want to close my eyes as our educator continues to discuss the relaxing pace of life, languid afternoons on terraces, and the cool shade of ripened vines. Most producers still produce their Burgundies utilizing traditional methods of oak barrels stored in vaulted cellars. “Years of aging produce the best quality,” he tells us. As the night winds down, Denise and I lean back on cushioned chairs and watch, out the window, as a couple snuggle under quilts and blankets for the meandering ride back up to the resort on a horse-drawn carriage. The fog rises in tendrils that drift across the empty town center of Southwest Harbor, Maine. The only stoplight in town is a blinking yellow one, and it sends a deep afternoon glow through the chilled early summer air. Located on the “quiet side” of Mount Desert Island, a 20-minute drive away from the bustling summer playground of Bar Harbor, this town looks the mysterious part for a writers retreat. The Kingsleigh Inn offers a writing corner and cranny in alcove rooms, all with views of Southwest Harbor. I find myself skipping along Ho Ho Ho Lane as I follow a jolly-looking fellow in bright red faux fur and Sorel snow boots. He has a flyaway beard and wears black wire glasses. He heads past the Jingle Bell theater, where electronic elves sing Elvis carols, and he takes a hard left past the Snowball Mall. He doesn’t even glance at the Reindeer Carousel or the Nutcracker Sweets, because he’s headed for a cabin in the woods. Normand and Cecile Dubois opened Santa’s Village in 1953, offering pony rides and a Mule Show featuring Francis the Famous Mule. Metal rides were soon added, and by 1969, the park had food shops and playgrounds, as well as a Jingle Jamboree theater. “Good luck” rings are handed out for free at the Blacksmith Shop. Normally open during the summer months, in the mid 1990’s, they decided to open the park during the holidays: from late November through New Year’s Eve. Skyway Sleights were added that whisk families above the treetops, and a Polar Theater offers 3D Elf shows every half hour. Dancing elves on a stage and a Talking Tree that sings are some of the highlights. It’s our time to line up for Santa. We’re in the house. We have a cup of hot cider and a cookie in hand. “Here Comes Santa Claus” plays softly in the background, and I’ve been told not to sing or whistle or do anything that might detract from the moment. Lists of wishes come out from back pockets and jackets as Santa smiles at us. No one moves. We leave Santa’s cabin with a candy cane and a promise. He’ll fly over our house in a couple of weeks and visit us “if we are good.” We agree to leave him cookies and milk. And out into the night we go, to the barn where the magic flying reindeer live. The wind picks up and fat snowflakes begin to fall on the mountains. We’re in the North Pole, it seems, and Santa will be coming soon. 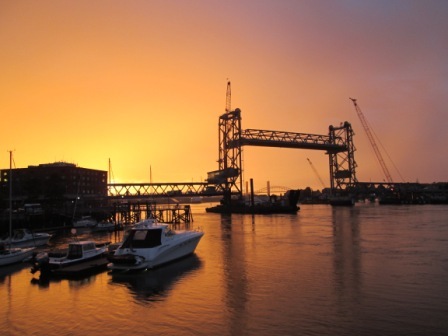 Today, Portsmouth is smooth and cultured and has been named New Hampshire’s most walkable city. Spruced-up mansions next to boutique shops intermixed with more than 100 restaurants. Surrounded by a working harbor and ocean, it’s a historical gem. Trademark tugboats sit in the Piscataqua like frozen gray and red sculptures as we walk through Market Square and Prescott Park all decorated in frosted pine. The Press Room is a great place to warm up after a brisk walk. With live music and sing-a-longs I feel like a sailor or seafaring gals as I drink Guinness on tap and listen to a banjo ricochet its chords against the ancient brick of the pub. Imagine a village resting in the nook of the White Mountains, the Johns River sliding itself like a vein through the rolling hills. Imagine railroad cars bustling through junctions, passing white clapboard churches, a downtown of brick stores and banks, and ornately built homes of visiting summer guests and locals. Imagine, on a bald knoll, a farmhouse with a commanding view of the Presidential Range – Madison, Adams, Jefferson, Washington. Add the Green Mountains of Vermont, Haystack and Starr King mountain as bookends, and you have the Mountain View House of Whitefield, circa 1866. World-famous authors came to read their latest work in the music hall, a room still surrounded by towering picture windows showcasing deep meadows, walking trails, Mirror and Montgomery lakes, and the distant mountains. Walt Whitman, Emily Dickenson and Henry David Thoreau were reported to be celebrated guests at the hotel. 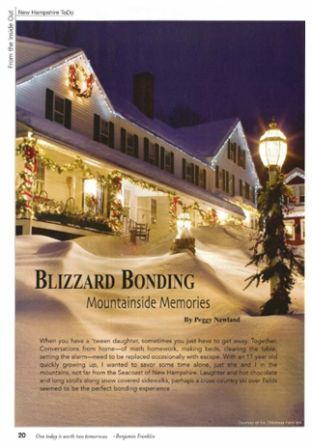 Imagine sleeping under a tidal wave of ice, and you’ve got the White Mountain Hotel and Resort in North Conway. Perched directly below granite blue ledges and overlooking the snow covered Green Hills, Mount Cranmore and Mount Kearsarge, the resort is a lit-up oasis. In the fall, North Conway is smack dab in the middle of leaf peeping and other activities. There’s the usual shoping outlets but also golf, climbing, kayaking, fly fishing, biking and, of course, hiking. But the view from the resort’s pool deck is grand, so we pass on all those other things for the time being and just enjoy a moment of perfect place. In the mid-‘90s, the Wentworth was almost demolished due to disrepair and dilapidation. Luckily, in June 1996, it was recognized by the National Trust for Historical Preservation as one of America’s 11 Most Endangered Places and protected by a group, the Friends of the Wentworth. They worked to preserve the resort and, today, Wentworth by the Sea is a premier destination resort hotel and spa. A stay here can include many things or you can simply sit in the outdoor hot tub and listen to foghorns in the distant. Mist, coming in from the east, feels cool against your face. Later on, the sun shines brilliant on the bay. At night, dinner overlooking a harbor that glows in deep purple hues. There’s plenty to look at and fill my head with while inside the American Independence Museum. I find out that, in 1985, a rare copy of the Declaration of Independence was found in the Ladd-Gilman House. There are also two drafts of the U.S. Constitution and an original Purple Heart, award to soldiers by George Washington. There are collections of furnishings, ceramics, silver, swords and other military equipment in glass cases. There’s an antique bar in the Folsom Tavern, where all the revolutionaries drank and collected tales. In fact, Washington even stopped by the tavern on November 4, 1789, to “partake of collation” during his tour of New England.